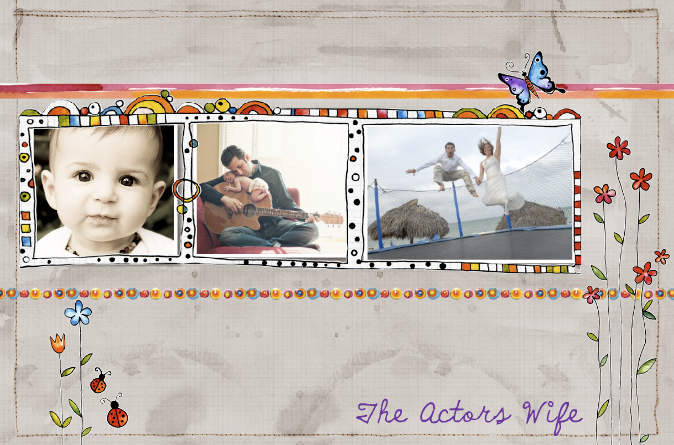 The Actors Wife: Happy Valentines Day!!! I am not a huge fan of Valentines Day. I just feel like it is a holiday created just so Hallmark can make money. But on the flip side ... who doesn't like to get a nice card or flowers? I will take those any day of the week! Today was my second day as a working woman. I am still trying to get adjusted to waking up early. Since Eric works until about 11pm, most nights we are up until 2am and then sleep until 10ish. Ah the life of an actors wife! Now that I am a working girl I have to get back on the "normal people" schedule. I have to be at work around 8:30 so I am definitely getting up much earlier than normal. I woke up to a nice card waiting for me on the table this morning. It was a nice way to start the day. Today I felt like I gained 20 pounds. I walk in to work and there are some random truffles on my desk, then someone brought me a cappuccino (with whole milk I assume), then the salon had set out fancy chocolates for the guests and of course I had to try one, then someone dropped off a slice of the famous NYC Juniors Cheesecake. I mean it is famous...and I had never had any...I needed to at least try it...right??? So...obviously today was a very chocolate....pound packing on...day! 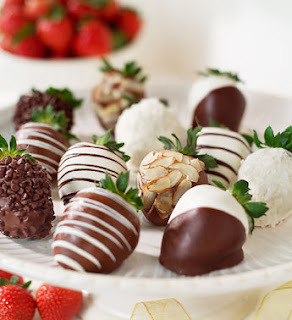 Ah well...tomorrow I am working out so maybe I will burn off a strawberry or two. If you did not know...one of my favorite things is goat cheese. I love it. I could eat it in everything! So, I got home from work today and I walk in to see candles lit in our apartment and Eric in the kitchen cooking. It was very very cute. He had made an amazing goat cheese linguine with roasted chicken and asparagus. He had slaved over the stove for several hours and it all turned out AMAZING!. I must admit....it is very nice to come home to dinner on the table! I could definitely get used to this kind of treatment! So now I am just relaxing on the couch with the dog and an extremely full stomach. All in all...even though I hate valentines day...this one turned out great. A ton of chocolate....a nice card....dinner on the table when I get home? Who could ask for anything more! What ag reat Valentine's day! No I can't imagine being like my husband coming home every night to dinner on the table! Any chance of Eric sharing that recipe???? HOOORAY!! I am glad you had such a great V-day!! Go Eric - what a guy!!! How romantic! Now you have to admit that you liked Valentine's Daythis year! You married a great guy who is so good to you! He is definitely a keeper, Sarah! sounds like you had a really great valentine's day!